If you’ve attended one of my Poised for Leadership workshops you’ll know that as a trainer I’ll do just about anything to fend off the 2:30 p.m. post-lunch energy slump. This includes plying my class participants with chocolate and caffeine, getting everyone up out of their chairs networking and up doing silly leadership themed stretches to Dolly Parton’s 9 to 5. 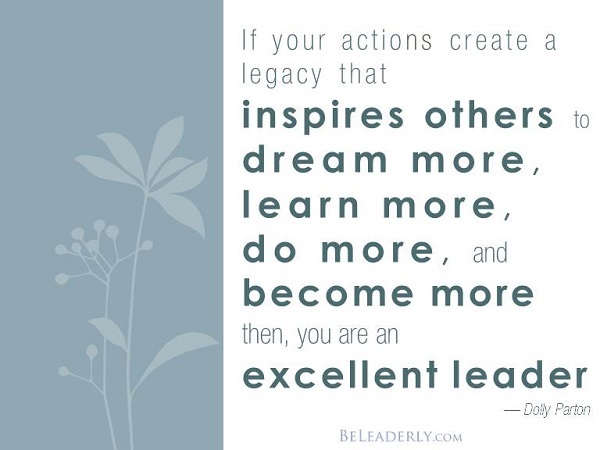 So I was intrigued when I came across this leadership quote that is purportedly from Dolly Parton.